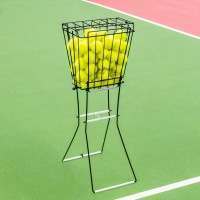 All the replacement parts in these packages have been specifically designed to fit the 9 x 7 Jumbo Tennis Rebound Net so once fitted, it will be like having a brand-new rebounder at your disposal. 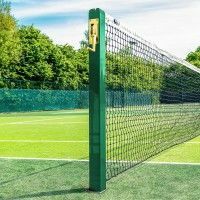 Already extremely durable with a fantastic lifespan, by adding these high-quality replacements to your rebounder once the originals begin to show signs of natural wear & tear, you’ll be able to use it for many more years to come! 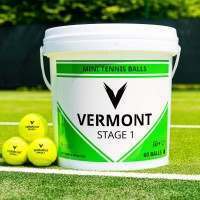 We offer 3 different replacement packages to ensure you have everything you need. 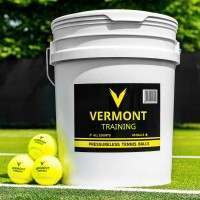 For the complete package, you can select the net & ties option. 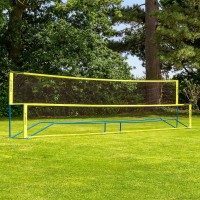 Alternatively, we also offer the net and ties as individual options too. 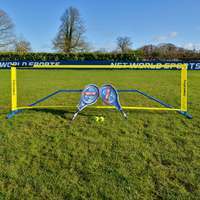 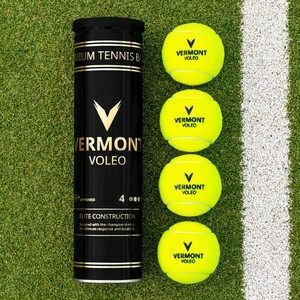 The Jumbo Tennis Rebound Net has fast become a popular choice for those looking to improve their tennis skills and techniques. 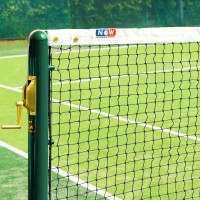 Unfortunately, the increased popularity can sometimes lead to natural wear and tear, even for the most durable of tennis products, like this Jumbo Tennis Rebound Net. 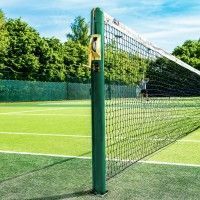 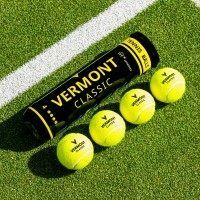 The consistent blows received from forehands, backhands and serves can sometimes take its toll, so in order to ensure you never lose any practice time due to damaged equipment, we provide replacement nets and ties, which will have your rebound net looking and feeling brand new. 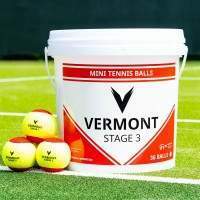 Available in 3 different packages, these replacement parts are guaranteed to maintain the high-quality of your tennis rebound net. 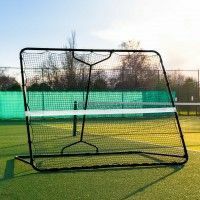 If your rebounder needs a full replenish of its equipment, we offer a net & ties package which will provide you with a durable 30ply twisted polyethylene twine net and elastic bungee net ties to keep the net at a suitable tension. 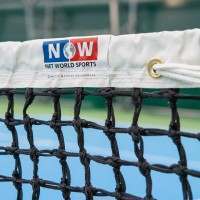 Alternatively, we also offer the net on its own as well as the ties on their own as two separate packages.